In 2018 Fabiano Caruana failed to make progress with the Rossolimo Sicilian in his first three White games against Magnus Carlsen. Then he had no choice but to enter the Sveshnikov main lines. What to play against the Sveshnikov? This question must have bothered Team Caruana – surely the main lines have been prepared to perfection by Team Carlsen, but then what to do? The solution came from an unexpected source. At the Batumi Olympiad, former World Champion Vladimir Kramnik played a game that caught the attention of Caruana’s helpers. Recently Kramnik has been expanding his repertoire and also included Fischer’s “Best By Test” in his opening explorations. This line has always been considered harmless because after the exchange on d5 a white pawn lands on that square, eliminating Black’s weak d5-square and d6-pawn. Then Black gets the easy play by pushing …f5 on the kingside. While this is all correct, modern theory unearthed that White also has some trumps – he gets really easy queenside play and smooth development without problematic pieces (like the knight on a3 in the main lines). In Game 8 Fabiano Caruana went Kramnik’s way and this is what we got. This is considered the best move. Kramnik himself was on the Black side of this variation back in 1994 when he played the Candidates match against Leonid Yudasin. He was suffering in those games and only thanks to Yudasin’s poor form he managed to escape without a loss (and even won one game). The first wrinkle. Earlier the move 9 c4 was considered the main move, but pushing the a-pawn leaves the c4-square free for the knight. This move was twice used by Oparin against Gelfand. The idea is to finish development and also support the a5-push when the knight is chased to a3. Gelfand played 12…a6 and 12…Nf6. Both moves are possible but Carlsen prefers to start immediate kingside counterplay. Both sides straight-forwardly follow their plans. White is gaining space on the queenside while Black is expanding in the center and the kingside. An important move. It is vital to stop Black’s …f4 as it would create strong threats against White’s king after a possible …f3 break. This is dubious because it is premature. Better was to finish development by 18…Bf6 19 c3 Bd7 when both sides have their chances. 19 c4 f4 20 Bc3 Bf5 21 c5! With this strong move, Caruana opens the center, obtains the c4-square for his knight and soon enough achieved a winning position. So the first outing of the move 7 Nd5 was a success. 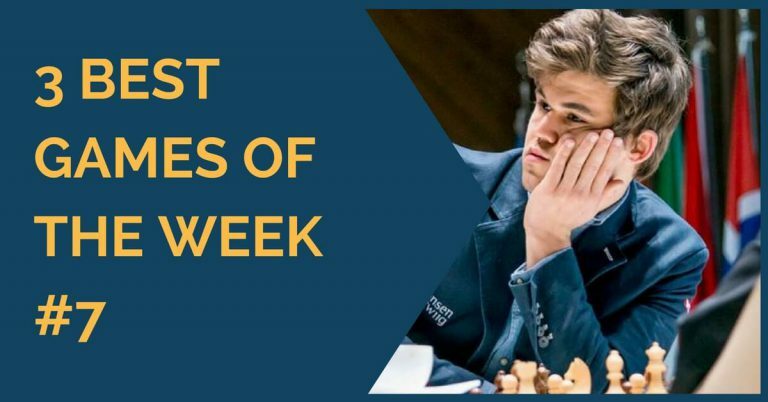 If Carlsen was to stay true to the Sveshnikov he had to find an antidote to Caruana’s choice. In Game 10 he came prepared, but it was again the Challenger who sprang the first surprise. 1 e4 c5 2 Nf3 Nc6 3 d4 cd 4 Nd4 Nf6 5 Nc3 e5 6 Ndb5 d6 7 Nd5 Nd5 8 ed Nb8 9 a4 Be7 10 Be2 0-0 11 0-0 Nd7 12 b4!? Caruana is the first to deviate from the previous game in spite of it going in his favor. This time the move is indeed a novelty and its idea is again to secure the pawn on a5 but at the same time have a pawn already on b4 in order to follow up with c4-c5. A typical idea to gain access to the c5-square. White accepts the fact that Black will have access to the c5-square but with this move, he speeds up his queenside play as he manages to win a tempo by attacking the rook on a5. The game is very sharp. Both sides are advancing on their sides of the board. Black couldn’t take the bishop because after White recaptures with the knight and then takes on c8 he will play Bg4 and will have absolute dominance on the light squares. A typical move, known from many lines in the King’s Indian when a rook lift along the third rank secures the kingside, but this move is not the best. Better was to play 19 Re1! (as suggested by Garry Kasparov) with the idea to control the e-pawn and the e4-square. The idea is that Black cannot play 19…e4 because after 20 Bd4 that pawn is difficult to defend. After 20…Qg6 21 Bh5 Qf5 22 Bf3 Black will lose it. So again the opening was in White’s favor. These two games showed that the problems Black has to solve are far from easy as was previously thought. Team Carlsen had to come up with something good for the final, 12th game of the match. The final game of the World Championship match has an added pressure. There is no coming back if something goes wrong. 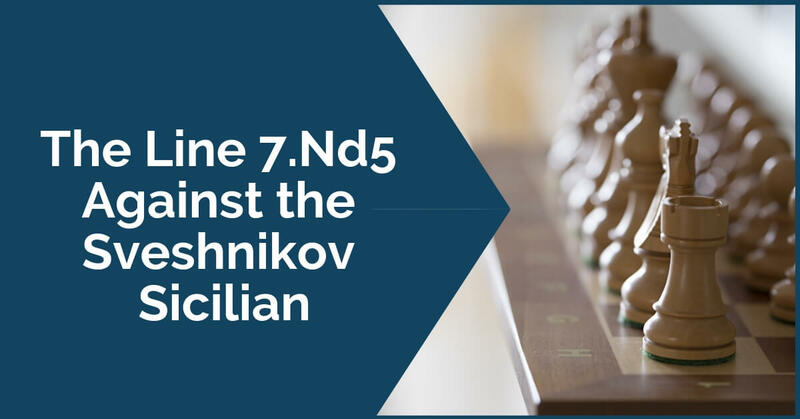 After suffering in the previous two games in the 7 Nd5 line in the Sveshnikov Team Carlsen came up with something different for the last game. 1 e4 c5 2 Nf3 Nc6 3 d4 cd 4 Nd4 Nf6 5 Nc3 e5 6 Ndb5 d6 7 Nd5 Nd5 8 ed Ne7!? Here is Carlsen’s deviation. The move was considered dubious since the match Yudasin-Kramnik in 1994, but the theory doesn’t stand still and Team Carlsen must have found enough resources in this line to trust it for the most important game of the match. Back in 1994 Yudasin played 9 c3, forcing 9…Nf5 (as 9…Ng6 would run into trouble after 10 Qa4 when Black has problems defending the queenside after 10…Bd7 11 Qb4 Bf5 12 Qc4 Rc8 13 Qa4 and the pawn on a7 is lost). Caruana plays more straightforwardly for a queenside expansion. An interesting decision. This allows White to repeat moves if he wishes so. Playing Black in the last game Carlsen was quite content with a draw. This is an important move in this variation. It does not only harass the knight on g6, it also provokes …h5 when a possible kingside expansion by …f5 would leave the g5-square weak. Additionally, the pawn on h5 can often be subject to an attack after Be2 and Qd1. The game Kramnik-Roganovic went 12…a6 13 h5 which was rather unclear. 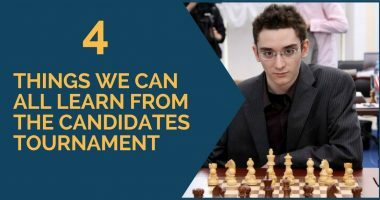 Caruana decided to continue the game. It was possible to play 15 Bg5, but more likely than not it would have transposed to the game after 15…Qb8 16 g3 a6 17 Nc3 Be7 18 Be3 Qc7. An interesting alternative was the move 17 Qa4. After 17…Bd7 18 Qd1 White threatens Be2 to attack the h5-pawn. Play remains unclear after 18…Be7 19 g3 Bg4 when White needs to decide whether to play f3 or not. Probably not the best as it is too loosening. It was more compact to play 18 Be2 keeping the kingside pawn chain defended. White would have had a more pleasant position in this case as Black still has to solve the problem of the knight on g6, which has no good squares to go to. A plausible line is 18…Nf8 (immediately improving the position of the knight) 19 Qa4 Nd7 20 Qd1 Bg6 21 Rc1 with complex middlegame play where White is slightly better. 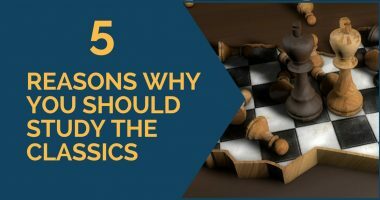 The knight on g6 is Black’s only problematic piece and he improves it immediately. With a complex position with mutual chances. Soon enough Caruana misevaluated the position and ended up losing, but Carlsen was not in a mood to win that day and the game ended in a draw. The opening of the 12th game left some doubts as the impression was that White could still obtain something against Black’s set-up with …Ne7-g6. After losing the first game in the tie-break Caruana was determined to strike back immediately. Carlsen also felt confident after taking the lead so none of the players wanted to change – they were ready for another big fight in the Sveshnikov. Carlsen deviates first. This is the second-most-popular move in the position, but the character of the struggle remains the same. Again the same idea. We saw in the previous game that the insertion of the moves h4 and h5 is beneficial to White. White was threatening to put the knight on b6, via a4, so Carlsen prevents it by pushing the a-pawn. A nice move. It improves the position of the queen, increases the control over the h3-c8 diagonal and keeps an eye on the c4-pawn. White continues with development. Ideally, he would like to castle short and start pushing on the queenside by playing Nb5 and c5. Here White had a promising opportunity. He could have taken on g4: 19 Bg4 hg (the exchange of queens definitely favors White who will not have to fear any attacks and can concentrate on his queenside play) 20 c5! with strong initiative, for example, 20…dc 21 h5 (this prevents Black’s castling by attacking the knight) Ra6 22 Qe2 with a long castle to follow. 19…Be2 20 Qe2 Qf5 21 c5? The tension of the match shows its face. This move is premature and was met by a very strong counter-attacking play by Carlsen. Instead of this over-aggressive move, White could have simply played 21 0-0 0-0 and now either 21 Kg2 or 21 Nb5, both of which guarantee a safe and slightly better position. Even though White lost the final game the opening again looked promising for him, as shown in the comments above. We can conclude that the new (or, rather, well-forgotten) way to face the Sveshnikov Sicilian is quite promising for White. With smooth development and a clear-cut plan of queenside play, White can confidently enter the complex middlegame that will ensue. The World Champion did not quite manage to solve the opening problems in the two lines Black has at his disposal: 8…Nb8 and 8…Ne7. This is very promising for the White players who can base their preparation on these games and rest assured in the knowledge that if Carlsen was having problems, their opponents will have even bigger ones when faced with this line.